Did you ever feel utterly certain about something you love and then suddenly begin to question it, wondering if your taste is out of date? This has been going through my mind a lot lately and it’s motivated me to begin updating many of my rooms. While bigger projects have been at the forefront of my mind, I’ve also been refining the living room in the background and today I’m revealing how I modernized the space. 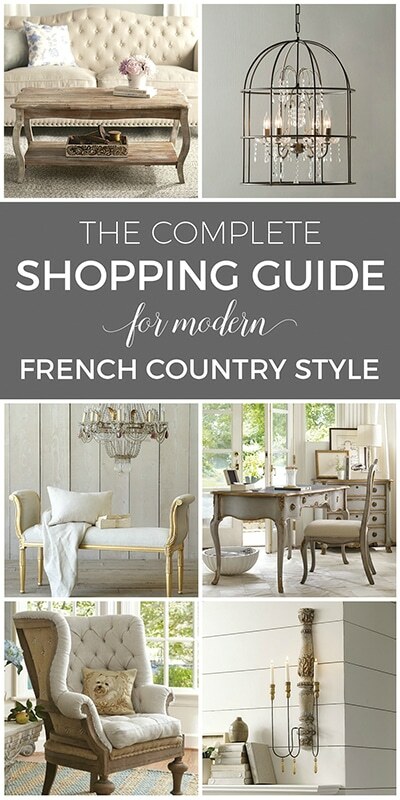 I would still consider it a French style living room, but to me it feels younger and fresher. Even better, I did it in 4 simple steps and only changed one piece of furniture which I moved in from another room. I’m also joining a wonderful group of bloggers for the Autumn’s in there Air fall blog tour, hosted by my friend Sheila from Maison de Cinq. Yesterday I posted the first 5 tours and today I’m linking to the remaining tours at the bottom of this post. 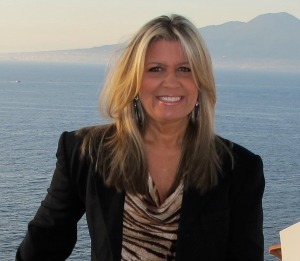 Be sure to scroll down and check them all out and a special welcome to those coming over from Sheila’s tour! 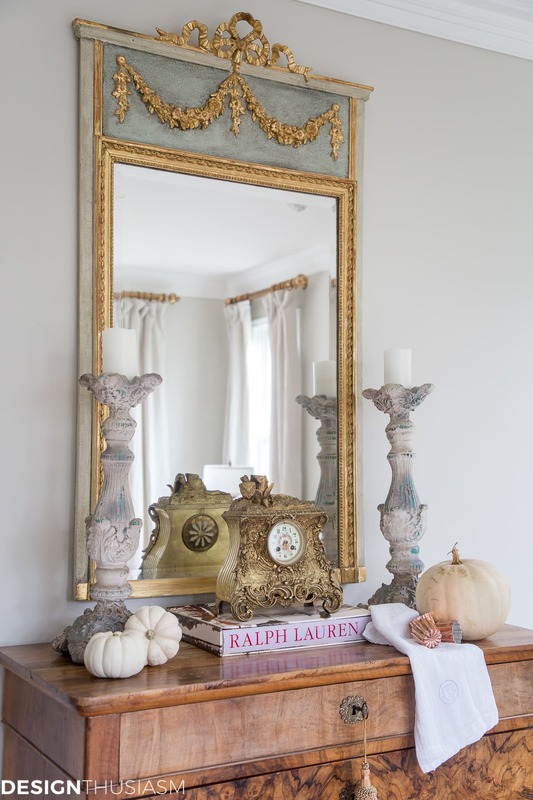 The new colors in my living room made this the perfect time to infuse it with a delicate dose of fall color. But first… let’s look at what changed in the room. 1. Paint – Without question, the single biggest change and the easiest to make, was updating the wall color. I’ve been slowly changing over most of my rooms to this neutral Tapestry Beige and the difference it made in this room especially, cannot be overstated. The yellow walls that were previously here are what felt most dated, and the antique pieces that pepper the space feel far less fussy against this gentle backdrop. 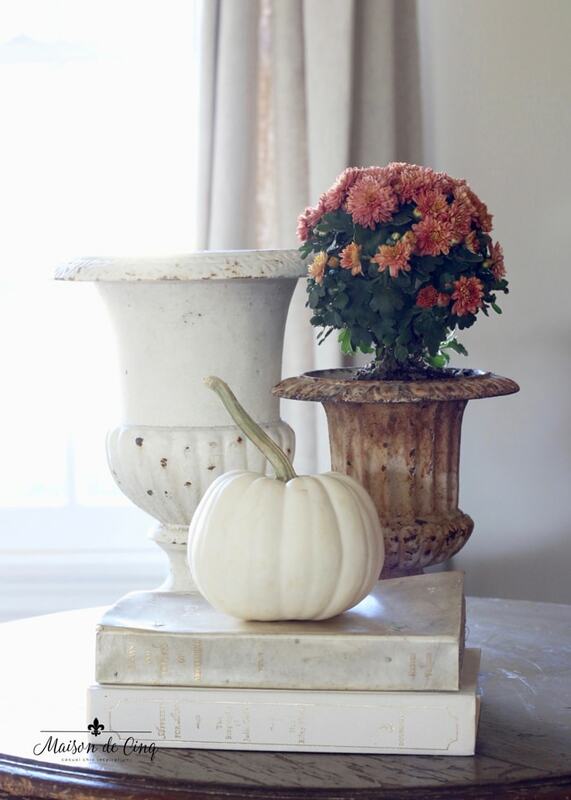 I chose pale pumpkins to work with the new color feeling and offer just a hint at the season. 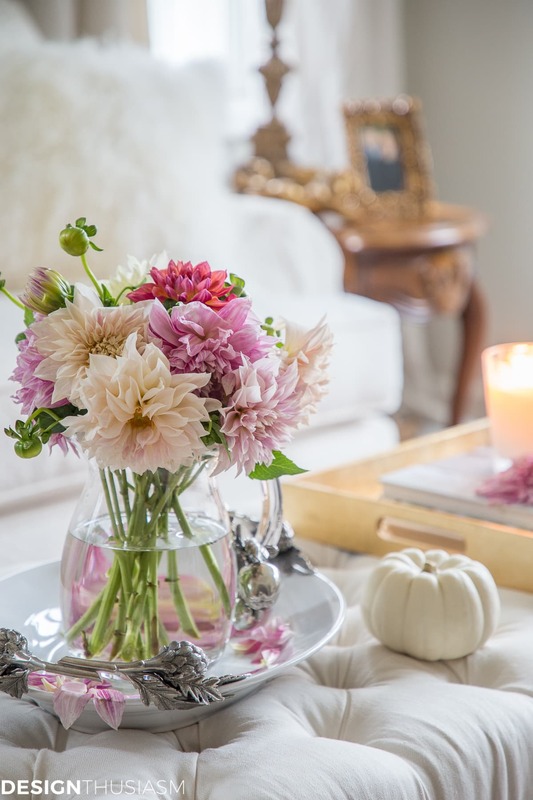 It’s quite a contrast to how I decorated last fall with richer colors for a different look. 2. 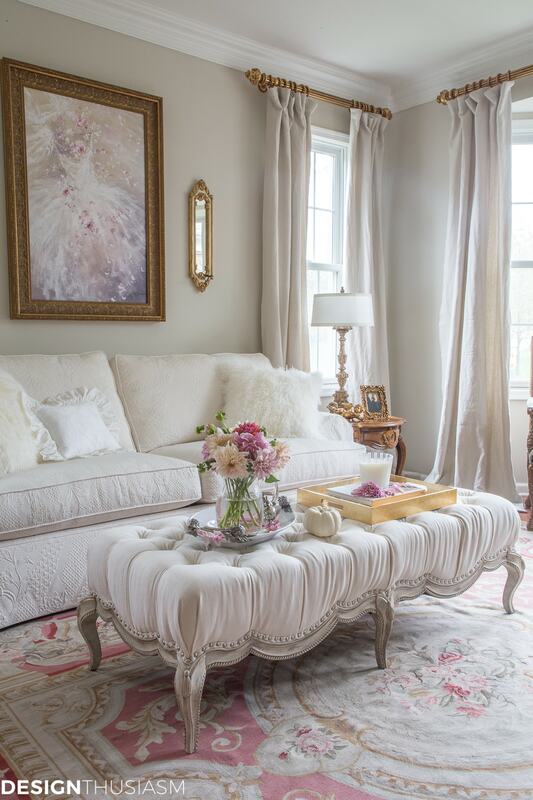 Cream tufted ottoman – I wanted the room to be mostly white and griege and when I got a new settee for our home office, I moved the tufted ottoman (that was previously there) into this space. It maintains the French style that I still love, yet the cream on cream palette is what feels modern to me. 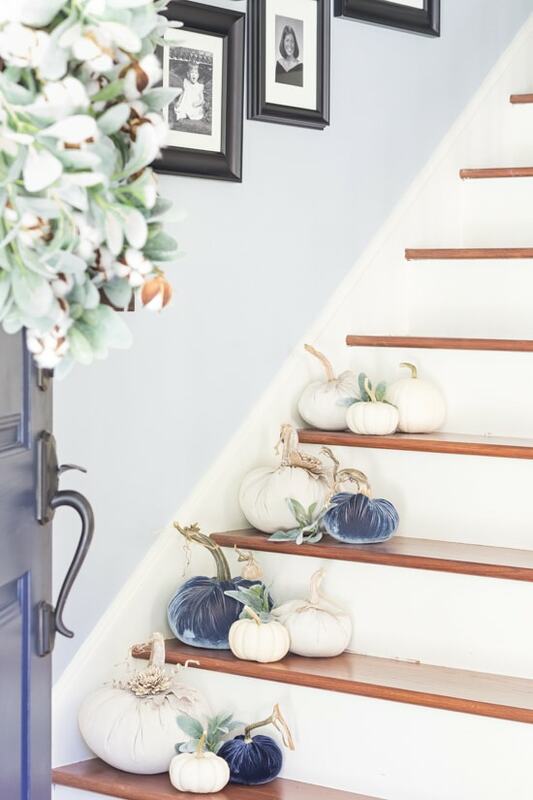 I love that the neutral palette makes it easy to add color and the oversized gourds are fun tossed about. 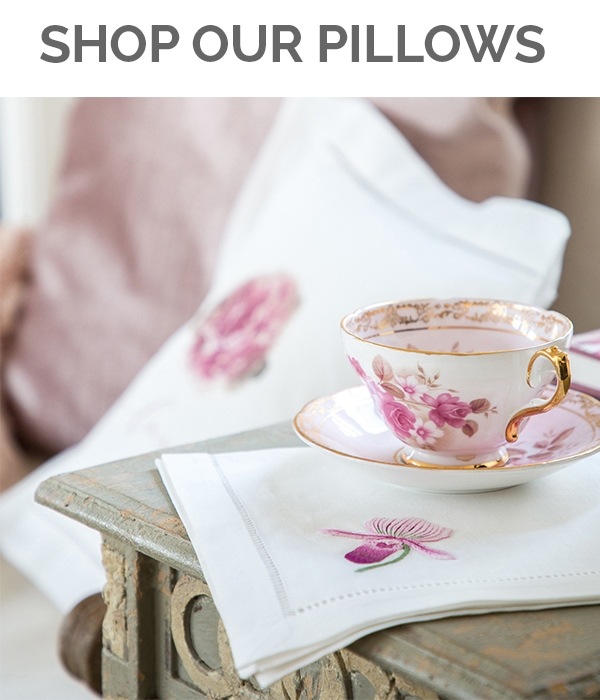 I chose to leave color in the aubusson rug, as the pinks and beiges are soft and pretty. The plan is to recover the throne chairs so they, too, are light and neutral, but for now, I’m not hating them, as they’re a bit camouflaged by the soutache linen pillows. The petite side table is a place holder for the one I’ll be painting, as this one usually resides on the landing of my stairway. 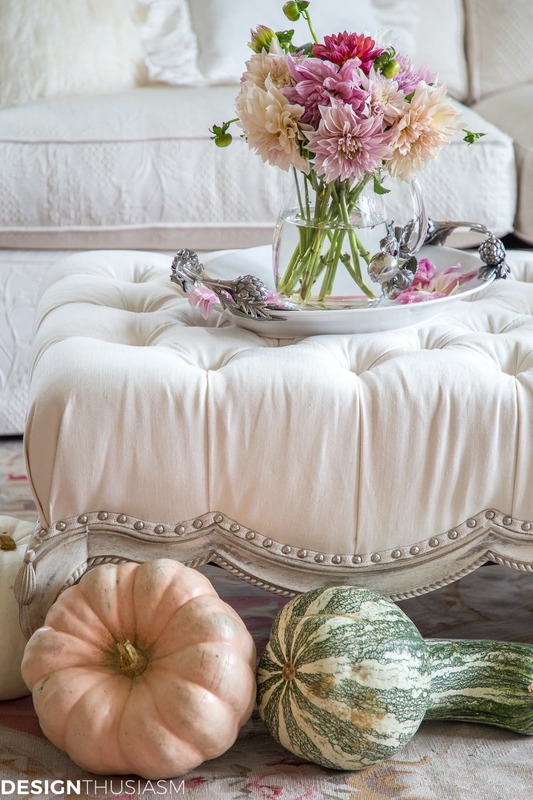 Playful velvet pumpkins mirror the color in the rug and are sweet and delicate surrounded by all that light. 3. Linen drapery panels – This was another ‘biggie’, in terms of making quite an impact. 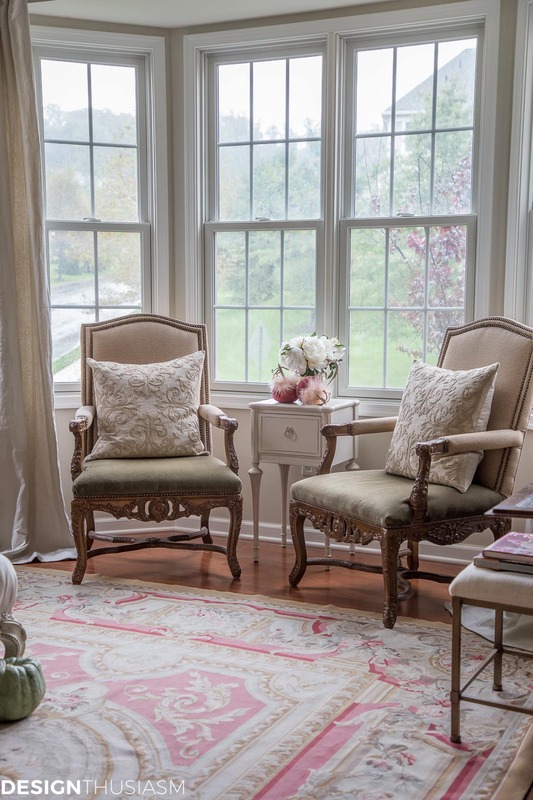 The existing window coverings had come with the house and were grand and heavy in lined bronze silk. They were beautiful, but they didn’t go with my light and airy vision. Instead I switched to washed linen panels with gilded rods that I really love. 4. Feminine painting – I struggled with this one for quite a while, until I found the piece that was just right, and it wound up being one if my favorite changes. I wanted to swing the room a little more toward the pinks and away from the yellows, and I love the painted dresses that I’ve seen popping up around. The one I found is perfect for my dominant wall. (And yes, I will be moving the sconces which is why I didn’t bother to center them. I have something else planned for this space and I’m looking forward to sharing it… ;-)). I also added in my favorite fall flower and I’ve been looking high and low for them for weeks! I finally found these gorgeous dahlias and I knew they’d be just right for the room. 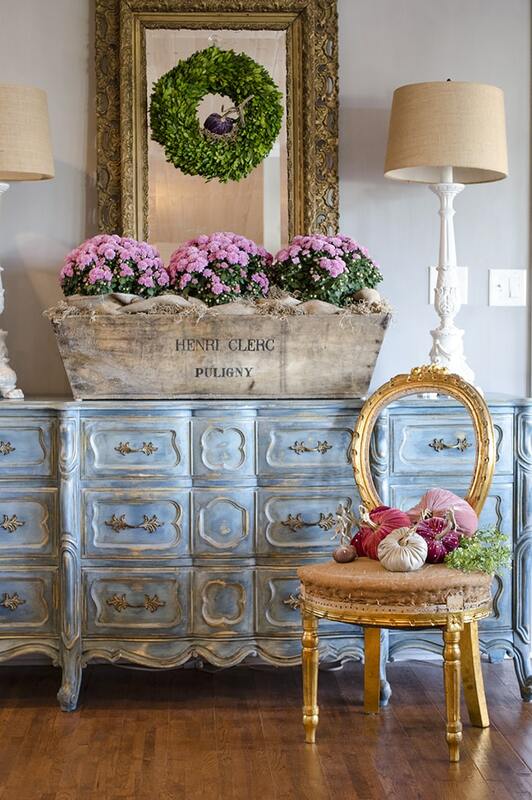 I wish I could keep them in here all year long, as they comprise just the perfect mix of colors for my updated French style living room. But one of the things about seasonal decorating is that if the season didn’t end, perhaps you wouldn’t appreciate it as much. 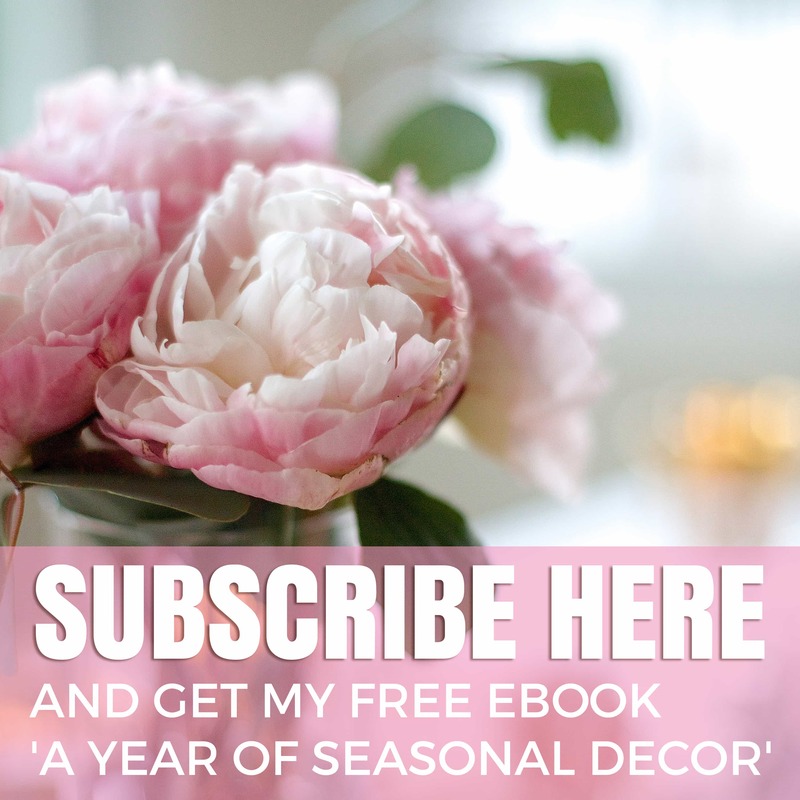 Decorating a room is an ever evolving effort and I’m sure this space will continue to change. 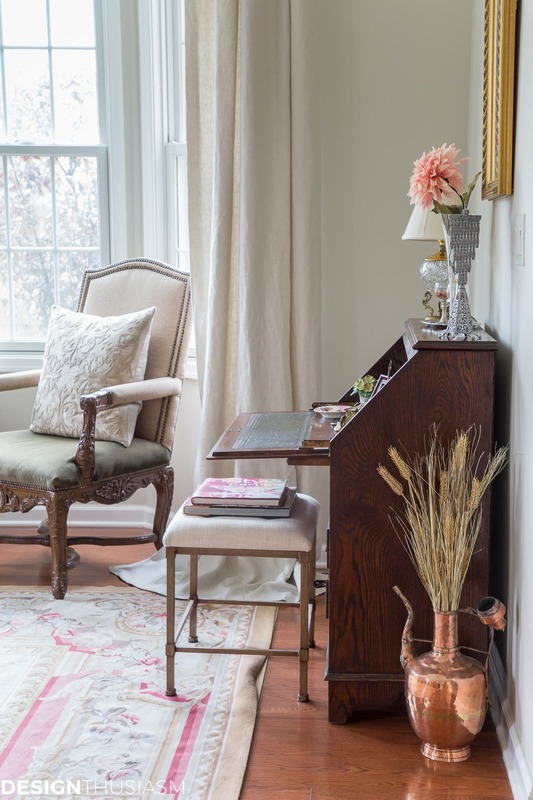 But I feel this recent transformation is a pretty significant one and one that has brought me another step closer to my vision of a modern French Country home. 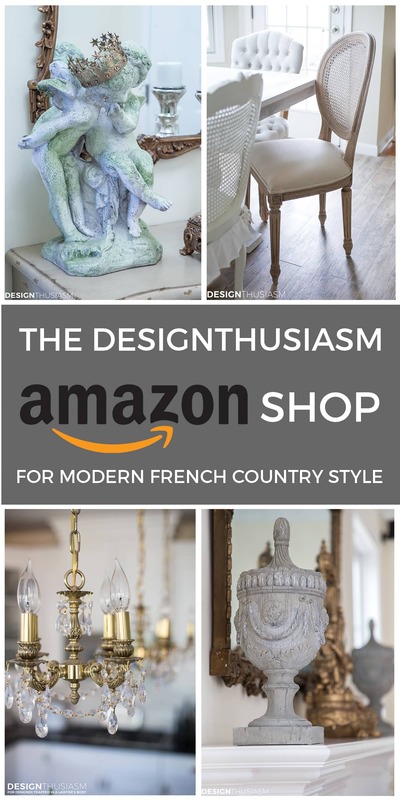 French Style Living Room Source List – To get the look, click on the items below for direct links to the products. Where actual items were no longer available, I’ve provided similar options. Next up on the tour is my friend Ann from On Sutton Place. 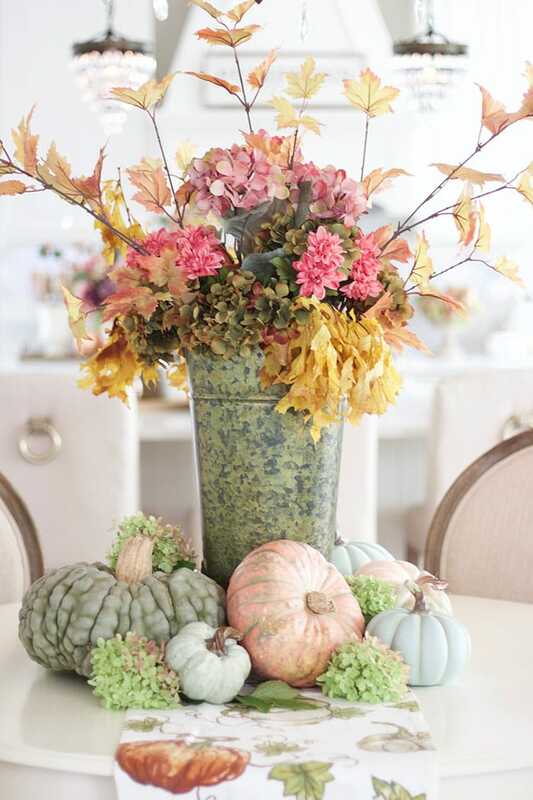 I know you will love her creative take on fall. Then, please enjoy the rest of today’s posts below! Beautiful tour, Lory. I love all your updates. That new painting is such a better fit over the sofa and the drapery rods are gorgeous. Really lovely. 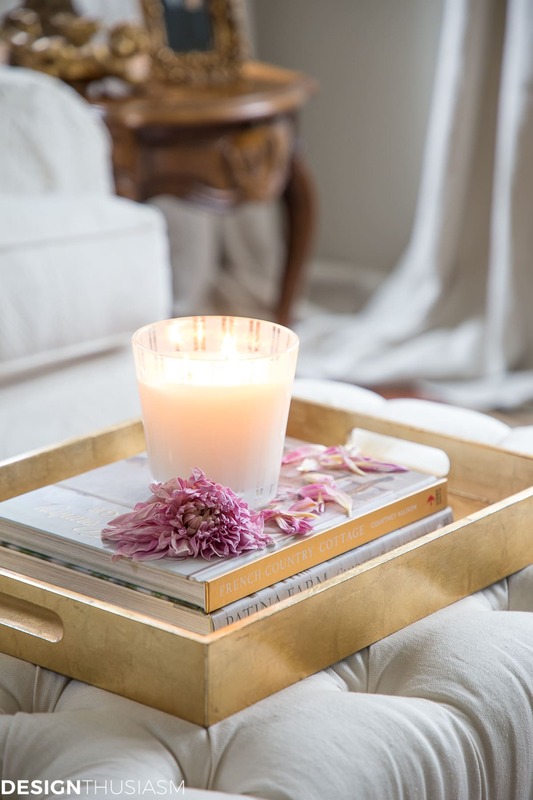 The neutrals with soft shades and metallics work so well together and have so much more life then all the white on white on white that’s shown everywhere. Love the details! This is very nice. I thought I miss the yellow tones, but I don’t. Lovely as always! Thank you so much, Elizabeth!! It’s funny how strongly I once felt about the yellow and now I feel it was the thing that had to go. That’s the beauty of paint. It’s so easy and inexpensive to change. 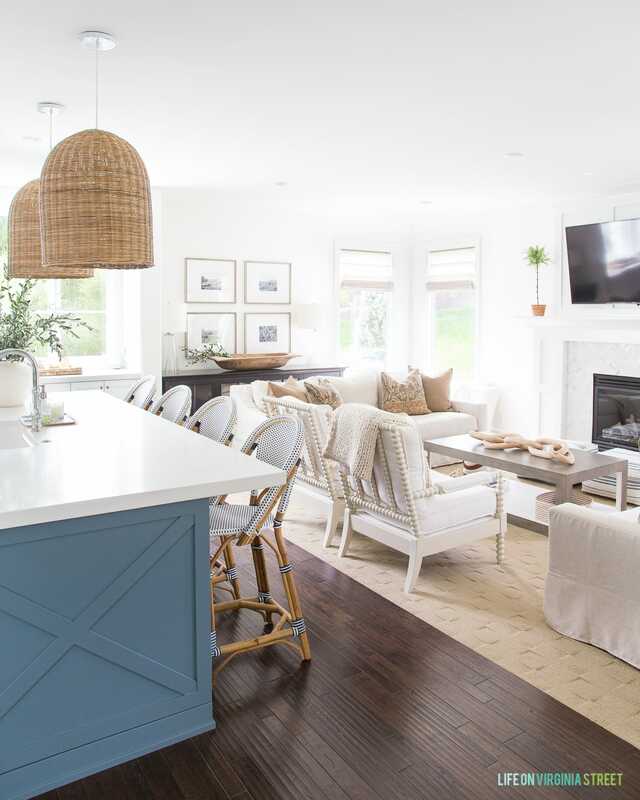 I just love the difference your paint has made in all your spaces! 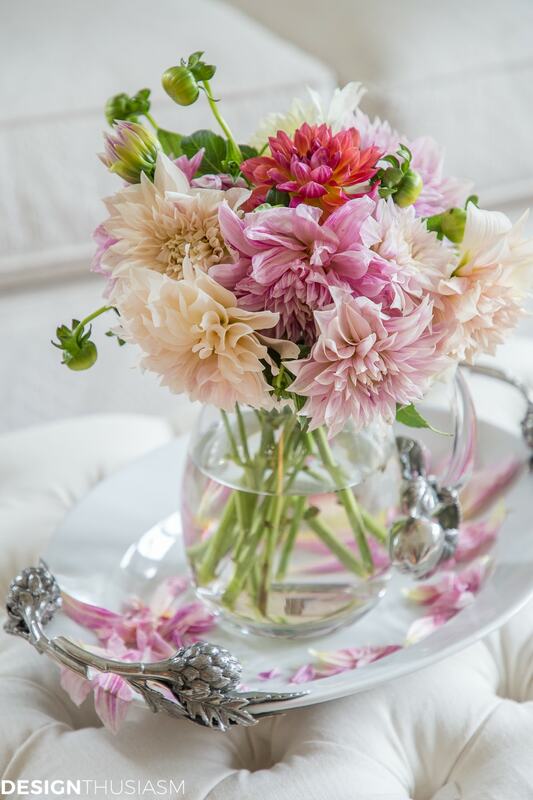 And you’re so right – the dahlias would be perfect in this room all year! That is a flower that I rarely buy and now seeing how pretty they are, I’m wondering why?! I’m so glad you could join us Lory! Happy fall! Absolutely gorgeous!!! I love this room. The rug is gorgeous too wish I could find one like it. Again, gorgeous, beautiful job. Thank you for the kind words, Candy!! What a beautiful and relaxing room! 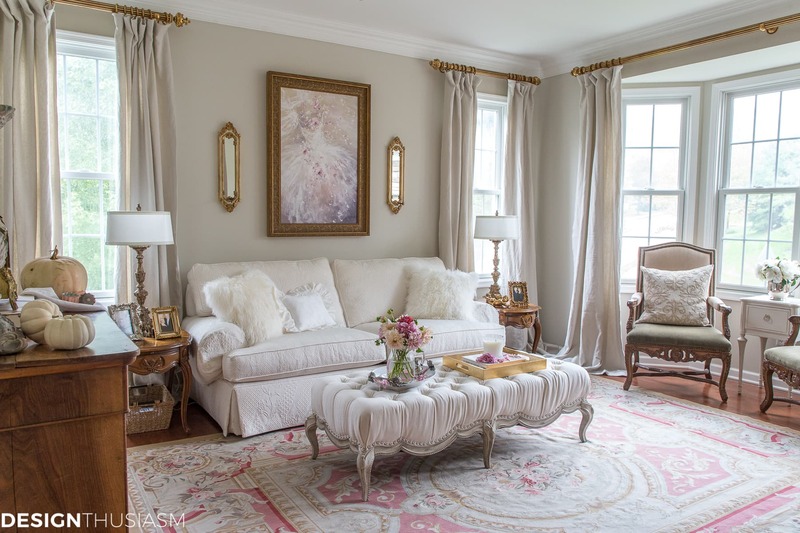 I love the soft neutrals – and the new paint and curtains do lighten it up – just gorgeous! Can’t wait to see what you do with the sconce wall! Thanks, Barbara! I better get on that… 😉 (I’ve had them for months already… lol). Love the paint color ( as well as everything else! ho makes the paint? Thank you!! It’s Benjamin Moore. I just love the rug! Is it a one of a kind find? I also love the painting! Thank you, Eileen! I bought the rug many years ago. It’s not vintage, so I wouldn’t say one of a kind. It was from a typical rug dealer that carries imported rugs. Lory, what beautiful updates you’ve made ! That gorgeous tufted ottoman had me at hello 😉 So fun doing this Fall tour with you again! Where did you buy the pretty white serving bowl with the silver asparagus handles? It is the perfect size. Thank you. A little like you, it took me about 3 years to decide what theme I wanted my kitchen. I love blue, so will accent the kitchen in soft blues with a very soft dove grey on the walls which now will extend to the front room. 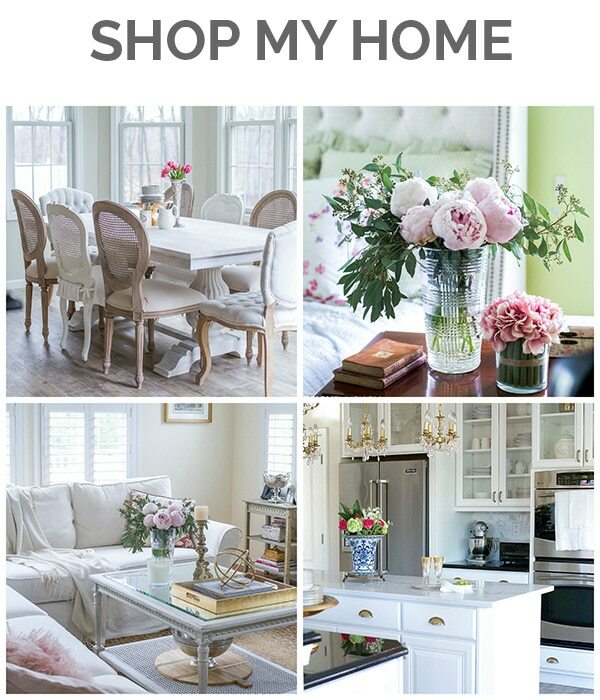 Now I begin looking once more for inspiration and here you are showing your front room! My husband really likes your fireplace from another post I shared with him and while he was not crazy about the light colors, he really appreciated the textures you used to warm the room up. He also found it funny about if your hubby did not like the lowered bathroom counters, there were 2 more bathrooms upstairs. He laughed gleefully at your humor. Thank you also for taking time out reading our post and answering back. Have a wonderful week! OOOOh my gosh, this is just gorgeous Lory. May I please ask where you got the sofa and the drapery ? This is so beautiful. I love everything about this room. Update is what I need to do also but I feel like I dont know where to even start. Your furniture is gorgeous, thank you for sharing this with all of us out here. Thank you so much, Rosemarie! The sofa is from Ethan Allen, but it’s at least 10 years old. The drapery is new, though and it’s from Restoration Hardware. It’s the washed belgian linen drapery panels in the bisque color. The panels are from Restoration Hardware – washed belgian linen in Bisque. Need to look up the rods. Lovely updates, I also would like to know the source for the drapery panels. The panels are from Restoration Hardware – washed belgian linen in Bisque.